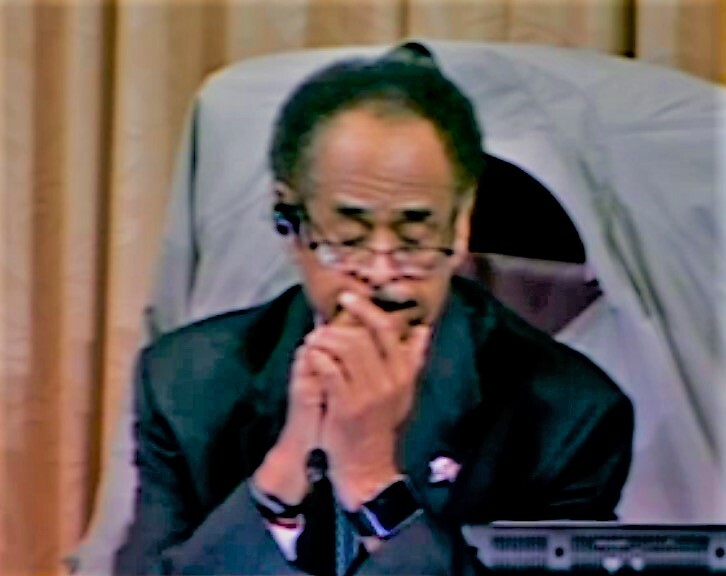 “I started smoking when I was 15-years-old,” Oakland City Council President Larry Reid said late Tuesday night before the council approved a citywide ban on the sale of flavored tobacco and vaping liquids, and menthol cigarettes. Oakland’s ban was authored by Councilmembers Anne Campbell Washington and Reid. The city council’s decision follows a similar prohibition approved recently by the San Francisco Board of Supervisors. That decision was the first locally to include a ban on menthol cigarettes. The action appears to be providing other cities in the Bay Area with a newfound impetus to stop the sales of the mint-flavored cigarettes that are historically marketed to African American and subsequently kill the specific demographic in disproportionately high numbers. A number of speakers Tuesday night recounted the dark history of menthol cigarettes and its effects on the African American community. Neighboring San Leandro is also seeking a similar flavored tobacco ban to Oakland’s, but has shied away from banning menthol cigarette for fear of attracting a lawsuit from Big Tobacco. San Leandro’s proposed ban is scheduled to return to their city council in mid-September. Meanwhile, Oakland’s decision Tuesday faced opposition from local convenience store owners who said the loss of revenue resulting from the ban would hurt their small businesses. In addition, a quick ban would also saddle business owners with a glut of inventory, they said. The council was amendable to the problem and backed an amendment by Reid to push the ordinance’s effective date to July 2018. The ordinance, though, is set for second and final reading at the next council meeting on Sept. 19. Posted in Anne Campbell Washington, ban, blacks, flavored tobacco, Larry Reid, menthol cigarettes, Oakland, Oakland City Council, san leandro, vaping. Bookmark the permalink. Thanks for your kind content, Steven. That actually works well and gives some useful things for some minor age people to be aware on these things. I'm a regular vape user and I find it good for myself and I always keep in my not to abuse it because it can possibly gives negative effect one day.